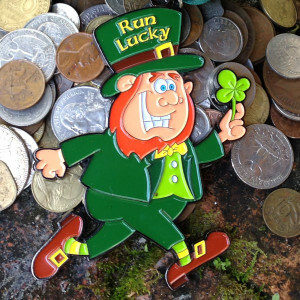 About this Virtual Run: Need a little luck? 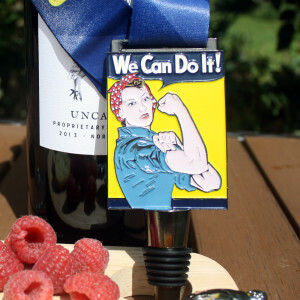 Join the virtual race revolution by registering for the Lady Luck virtual 5k/10k/Half Marathon. Run or walk whenever and wherever you want to earn this glittery four-leaf clover medal with an attached ladybug. All registrants will also receive a matching charm that can be clipped to your shoelace, zipper, or anywhere else you’d like to have little good luck. About the Charity: The mission of the Ladybug House is to provide children, adolescents, young adults, and their families respite from the challenges of life-limiting illness. At any given moment in the United States, over 565,000 children are within the last six months of their lives. Many hospitals provide high quality hospice and palliative care. 80% of pediatric deaths occur in hospitals. The Ladybug House will provide quality of life and respite from the sometimes sterile and challenging context of traditional hospital settings. Ladybug House will provide support to families during the unimaginable in a home full of life, love and respect. They will meet families’ needs for as long as needed. Every day, every moment, and every life will be celebrated. A portion of the proceeds from this virtual race (at least $5 from each registration) will be donated to the Ladybug House. For more information about this charity or to make a direct contribution, please visit LadybugHouse.org. About this Virtual Run: Virtual Strides is proud to announce that we have been selected to host the official virtual race of Grand Canyon National Park’s Centennial celebration! On February 26, 2019, the Grand Canyon celebrates 100 years since it’s designation as a national park. After 100 years, whether its hiking a corridor trail, taking a stroll on the rim or enjoying the landscape from an overlook, Grand Canyon continues to provide a space for all visitors to connect with the outdoors. Please join Virtual Strides’ Go Grand virtual race and run, walk, or stride your chosen distance whenever and wherever you want to help raise money to preserve this iconic National Park. All participants will receive an officially licensed 4″ Grand Canyon National Park Centennial medal, featuring a hanging “Go Grand” charm. About the Charity: Grand Canyon Conservancy (formerly Grand Canyon Association) is the official nonprofit partner of Grand Canyon National Park, raising private funds, operating retail shops within the park, and providing premier guided educational programs about the natural and cultural history of the region. Supporters fund projects including trails and historic building preservation, educational programs for the public, and the protection of wildlife and their natural habitat. Grand Canyon Conservancy inspires people to protect and enhance Grand Canyon National Park for present and future generations. A portion of the proceeds from this virtual race (at least $5 from each registration) will be donated to Grand Canyon Conservancy. For more information about this charity or to make a direct contribution, please visit GrandCanyon.org. 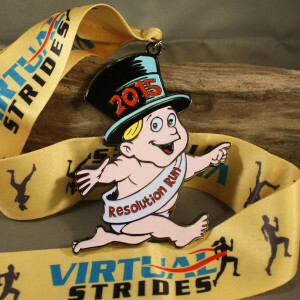 About this Virtual Run: The Resolution Run is back! Start the new year off right by joining this virtual race and setting some goals for yourself. Run or walk whenever and wherever you want to earn a 5″ chalkboard medal, complete with a piece of chalk so you can customize it with your own goals/resolutions for the new year. 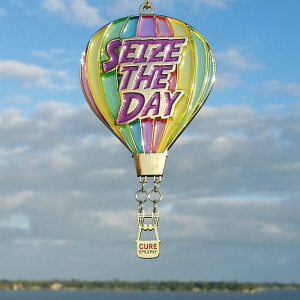 The medal has a stand built into the back, so jot down some goals or affirmations and then and stand it proudly in a place where you will see it every day. Proceeds from this event will be used to help fund classroom needs as requested by individual teachers around the country. We are hoping to make a positive impact on several classrooms by making direct donations through a website where teachers request them. See below for more information. About the Charity: This month’s featured charity is a bit different than most. Donors Choose makes it easy for anyone to help a classroom in need, moving us closer to a nation where students in every community have the tools and experiences they need for a great education. 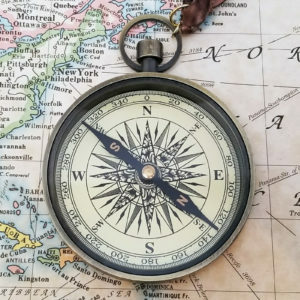 Created by a history teacher in 2000, Donors Choose is a website where teachers can post classroom project requests, and donors can choose the ones they want to support. A portion of the proceeds from this virtual race (at least $5 from each registration) will be used to fund individually selected projects on the Donors Choose website. We plan to support as many projects as we can, beginning with some of the “most urgent projects” listed on the site at the time we make our donation. For more information about this charity or to make a direct contribution, please visit DonorsChoose.org. About this Virtual Run: Grandma got run over by a reindeer, but you can still make a run for it while supporting a great cause! Join the Reindeer Run Over virtual race this holiday season to support a charity that helps send a message of hope to America’s less fortunate children at Christmas. Run or walk whenever and wherever you want to earn this hilarious reindeer-driven steamroller medal, featuring a red LED reindeer nose and blinking hazard lights! About the Charity: The mission of the Marine Toys for Tots program is to collect new unwrapped toys and distribute those toys to less fortunate children at Christmas. The goal is, through the gift of a new toy, help bring the joy of Christmas to America’s less fortunate children. A portion of the proceeds from this virtual race (at least $5 from each registration) will be donated to Marine Toys for Tots program. For more information about this charity or to make a direct contribution, please visit ToysForTots.org. Cost: $20 – ALL $20 WILL BE DONATED! About the Charity: 100% of the GROSS proceeds from this virtual race will be donated to the California Fire Foundation. This non-profit organization provides emotional and financial assistance to families of fallen firefighters, firefighters and the communities they protect. Formed in 1987 by California Professional Firefighters, the California Fire Foundation’s mandate includes an array of survivor and victim assistance projects and community initiatives. About this Virtual Run: This Thanksgiving season, join the Eat More Pie virtual 5k/10k/Half Marathon to raise money and awareness for a charity committed to ending world hunger. All participants will receive a cute turkey-in-disguise 4″ medal featuring a serving tray that opens to reveal a scratch-and-sniff pie that smells like pumpkin spice! Complete your 5k, 10k or Half Marathon by running or walking whenever and wherever you want. You can participate in this and any other Virtual Strides event from anywhere in the world, and you can even break up the distance over multiple days if needed. About the Charity: Founded in 1977, The Hunger Project is a global, non-profit, strategic organization committed to the sustainable end of world hunger. Their vision is a world where every woman, man and child leads a healthy, fulfilling life of self-reliance and dignity. The organization’s mission is to end hunger and poverty by pioneering sustainable, grassroots, women-centered strategies and advocating for their widespread adoption in countries throughout the world. 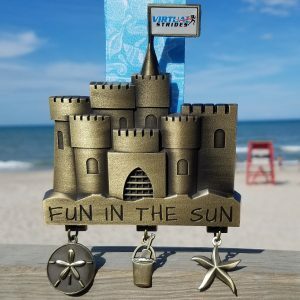 About this Virtual Run: Join the Tiki Run virtual 5k/10k/Half Marathon to raise money and awareness for a charity that responds to humanitarian crises around the world. 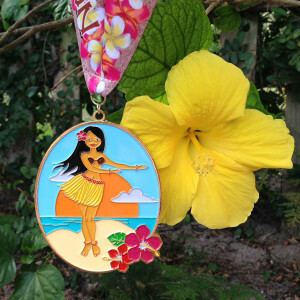 All participants will receive a 6″ tall, fully-carved, wooden Tiki medal. The Tiki is wearing running shoes, of course! 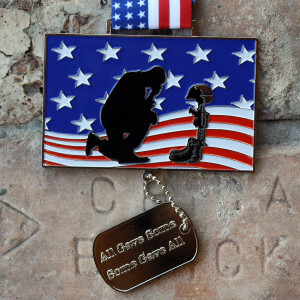 You can run or walk anytime and anywhere you want to earn this unique medal and support the cause. About the Charity: The International Rescue Committee responds to the world’s worst humanitarian crises, helping to restore health, safety, education, economic wellbeing, and power to people devastated by conflict and disaster. Founded in 1933 at the call of Albert Einstein, the IRC is at work in over 40 countries and 26 U.S. cities helping people to survive, reclaim control of their future and strengthen their communities. A portion of the proceeds from this virtual race (at least $5 from each registration) will be donated to The International Rescue Committee. For more information about this charity or to make a direct contribution, please visit rescue.org. 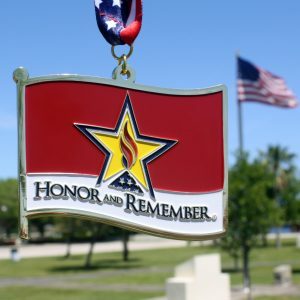 About this Virtual Run: As Memorial Day approaches, it is time to remember that we live in the Land of the Free Because of the Brave. 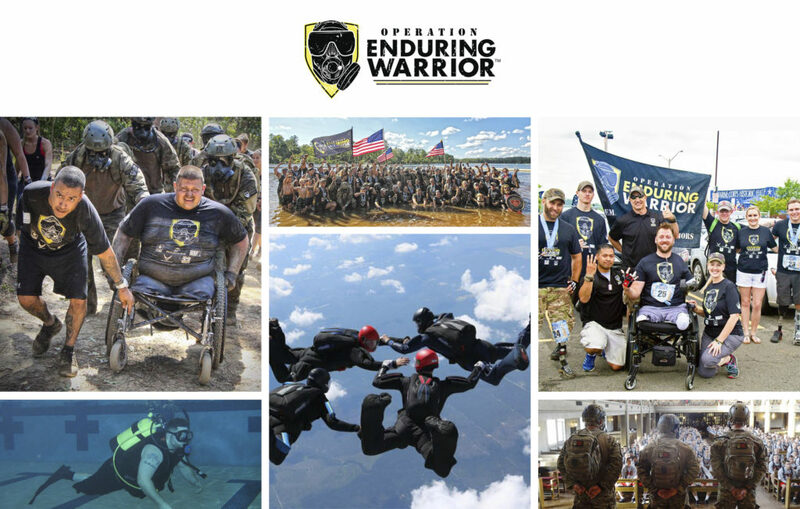 Show your support for military heroes and their families by participating in this virtual 5k/10k/Half Marathon. 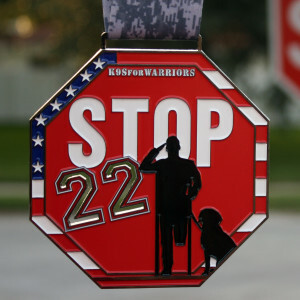 Run or walk whenever and wherever you want to earn your choice of Because of the Brave medals while supporting a wonderful cause. 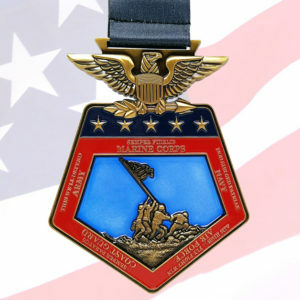 All five military branches are available, and each 3″ medal contains a removable coin featuring that branch’s official seal. 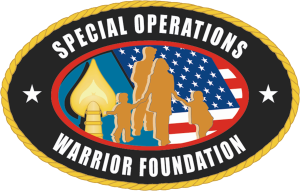 About the Charity: Operation Homefront is a national 501(c)(3) nonprofit whose mission is to build strong, stable, and secure military families so they can thrive — not simply struggle to get by — in the communities they have worked so hard to protect. For over fifteen years, the organization has provided programs that offer: RELIEF (through Critical Financial Assistance and transitional housing programs), RESILIENCY (through permanent housing and caregiver support services) and RECURRING FAMILY SUPPORT programs and services throughout the year that help military families overcome the short-term bumps in the road so they don’t become long-term chronic problems. 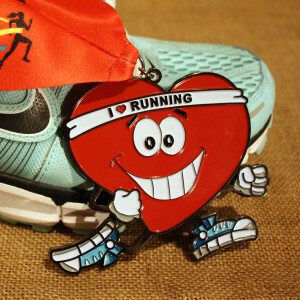 About this Virtual Run: The Run Like the Wind virtual 5k/10k/Half Marathon is a celebration of National Donate Life Month, which is about saving and healing lives through organ, eye, tissue and living donation. The windmill is symbolic of transformation, and turning obstacles into opportunities. Run or walk whenever and wherever you want to earn this 4″ 3D molded windmill medal with rotating blades. On average, 22 people die each day because the organ they need is not donated in time. If you are not already an organ donor, you can register to become one at RegisterMe.org. About the Charity: Donate Life America is focused on increasing the number of donated organs, eyes and tissue available to save and heal lives through transplantation while developing a culture where donation is embraced as a fundamental human responsibility. Over the past 25 years, Donate Life America and the Donate Life Community have registered nearly 138 million organ, eye and tissue donors in the United States – more than 56% of the adult population. A portion of the proceeds from this virtual race (at least $5 from each registration) will be donated to Donate Life America. For more information about this charity or to make a direct contribution, please visit DonateLife.net. About this Virtual Run: Find YOUR Fitness by participating in the Find Your Fitness virtual 5k/10k/Half Marathon. The medal for this event is a 3″ functional compass! You can participate in this and any other Virtual Strides event from anywhere in the world, so register today and then run or walk your selected distance wherever and whenever you want. About the Charity: Founded in 1971, Doctors Without Borders/Médecins Sans Frontières (MSF) works to help people worldwide where the need is greatest, delivering emergency medical aid to people affected by conflict, epidemics, disasters, or exclusion from health care. A portion of the proceeds from this virtual race (at least $5 from each registration) will be donated to Doctors Without Borders. For more information about this charity or to make a direct contribution, please visit DoctorsWithoutBorders.org. But wait, there’s more! The inside of the medal features several butterflies, including a large blue one at the bottom. 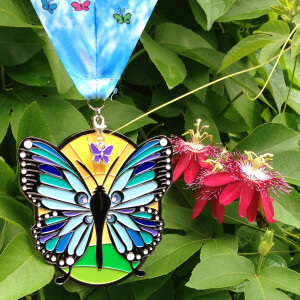 In 10 of the medals, this large butterfly will be GOLD instead of blue, and anyone who finds a GOLD butterfly inside their medal will win a Virtual Strides Gift Pack including a Virtual Strides medal hanger, a Virtual Strides visor, and a $50 Gift Card! Medals containing GOLD butterflies will be randomly distributed to Solving the Puzzle virtual run participants throughout the race period. For complete contest rules and details, please read the Official Rules. Found a Gold Butterfly? Fill out the Solving The Puzzle Prize Claim Form by 11:59 p.m. EST on March 31, 2018 in order to claim your prize! About the Charity: The Autism Society of America is a national source of information, advocacy, and support that reaches local communities with a one-of-a-kind nationwide network of autism knowledge and support. 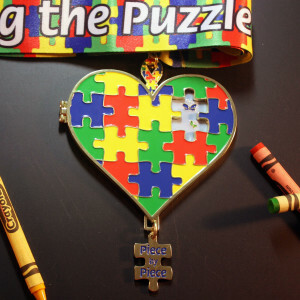 An organization with over 50 years of heritage and heart, the Autism Society, and its system of 90 affiliates, is dedicated to providing trustworthy, respectful and caring services that truly impact the lives of individuals on the spectrum. A portion of the proceeds from this virtual race (at least $5 from each registration) will be donated to The Autism Society. For more information about this charity or to make a direct contribution, please visit Autism-Society.org. About this Virtual Run: New Year, New You – Make 2018 your time to run (or walk, of course). Make a resolution to be more active in 2018, and if you are able, please consider spending some of your time volunteering too. The Time to Run virtual 5k/10k/Half Marathon benefits an organization dedicated to matching people who want to volunteer their time with the charities that desperately need their help. 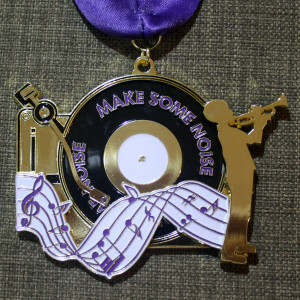 Run or walk anytime and anywhere you want to earn this huge 4″ clock medal. The hands of the clock move and can be set to any time of day… maybe set it to the time you plan to exercise as a daily reminder to keep moving! About the Charity: VolunteerMatch believes everyone should have the chance to make a difference by making it easy for good people and good causes to connect. Since its launch in 1998, they’ve facilitated over 13 million nonprofit-volunteer connections, and have helped more than 113,000 organizations better leverage volunteers to create real community impact. A portion of the proceeds from this virtual race (at least $5 from each registration) will be donated to VolunteerMatch. For more information about this charity or to make a direct contribution, please visit VolunteerMatch.org. About this Virtual Run: Located in the heart of the Florida Keys just 30 miles from Key West, Seacamp has been providing marine science and SCUBA education for 10-17 year olds for more than 50 years. Sadly, Hurricane Irma devastated this wonderful educational center, causing extensive damage and leaving the property in very bad shape. Insurance will not cover all of the expenses. Join the Southernmost Point virtual 5k/10k/Half Marathon and run or walk whenever and wherever you want to help get Seacamp back up and running. 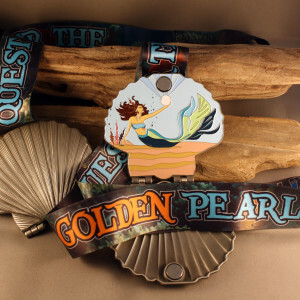 All participants will receive this 4″ Southernmost Point Buoy medal. About the Charity: Seacamp Association, Inc. is a non-profit organization dedicated to marine science education. The organization’s mission is to create awareness of the complex and fragile marine world and to foster critical thinking and informed decision making about man’s use of natural resources. As a residential summer camp and educational program, Seacamp Association offers extended sessions of hands-on, interactive education, taking advantage of the variety of marine environments surrounding their beautiful location in the heart of the Florida Keys. A portion of the proceeds from this virtual race (at least $5 from each registration) will be donated to Seacamp. For more information about this charity or to make a direct contribution, please visit Seacamp.org. 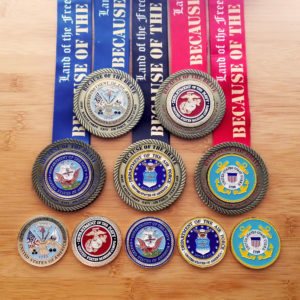 About this Virtual Run: Participate in the Eagle Pride virtual 5k/10k/Half Marathon to help raise money and spread awareness for a charity that helps bear the burdens of service by providing military families with financial and advocacy support in their time of need. 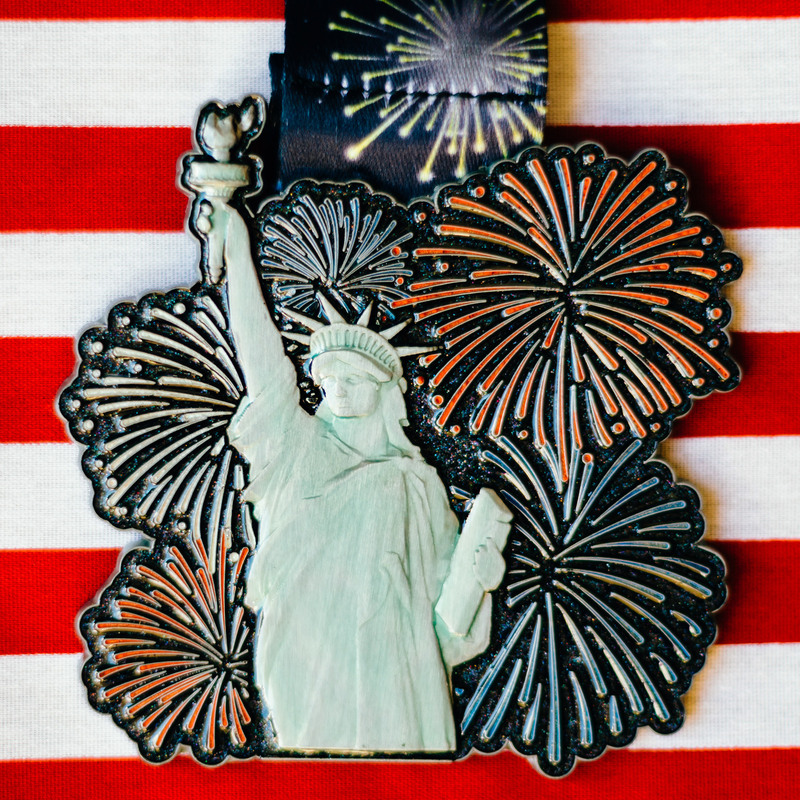 Run or walk your chosen distance whenever and wherever you want to earn this majestic 4″ medal, featuring a 3D molded bald eagle carrying a star-spangled fabric shield. 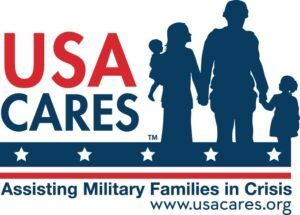 About the Charity: USA Cares provides financial and advocacy assistance to post-9/11 active duty U.S. military service personnel, veterans and their families. A portion of the proceeds from this virtual race (at least $5 from each registration) will be donated to USA Cares. For more information about this charity or to make a direct contribution, please visit USACares.org. About this Virtual Run: Hurricanes Harvey, Irma, and Maria caused massive damage to Texas, Florida, Puerto Rico and throughout the Caribbean. This virtual run is a simple and fun way for YOU to help those most affected by these storms. The Lend a Hand virtual 5k/10k/Half Marathon is a virtual race like no other – We are donating every single dollar raised* to the hurricane relief efforts. Yes, that’s right – You pay $20 to register, and we donate all $20 to the cause. Best of all, we have selected a charity that has promised “100 cents out of every dollar donated” will be used to help hurricane victims recover. That means there is exactly ZERO overhead from the time you register for this event until your funds reach those in need. 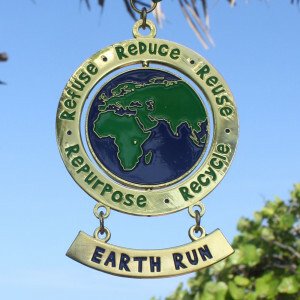 Participants in this global virtual race will receive a 3″ Lend a Hand finisher medal, a 2017 Hurricane Relief silicone bracelet, a digital race bib, and a huge sense of accomplishment from knowing they are making a difference for people in need. You can run or walk anytime and anywhere you want to support the cause. 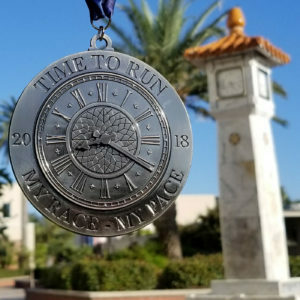 Medals will be shipped according to our standard shipping schedule, unless you elect to have yours sent before uploading your results by checking the “Send my medals ASAP” box on your My Results page. About the Charity: 100% of the GROSS proceeds from this virtual race will be donated to One America Appeal. One America Appeal is a joint appeal that was originally launched by all five living former American Presidents to encourage their fellow citizens to support recovery efforts from Hurricane Harvey — which inundated the Texas Gulf Coast with unprecedented flooding. This special appeal has been expanded to include areas most affected by Hurricanes Irma and Maria. All funds collected through the One America Appeal will go into a special account at the George H. W. Bush Presidential Library Foundation, a tax-exempt 501(c)(3) organization, to ensure 100 cents out of every dollar donated goes to hurricane recovery. *Virtual Strides will donate $20 to One America Appeal for every registration made in this event through 10/31/17 up to a maximum of $50,000 (Registration will be shut down at that time). Because we are donating all of the proceeds from this event, we are unable to include free USA shipping like we do for everything else on our website. Domestic shipping charges are $5 for the first registration and $2 for each additional registration. 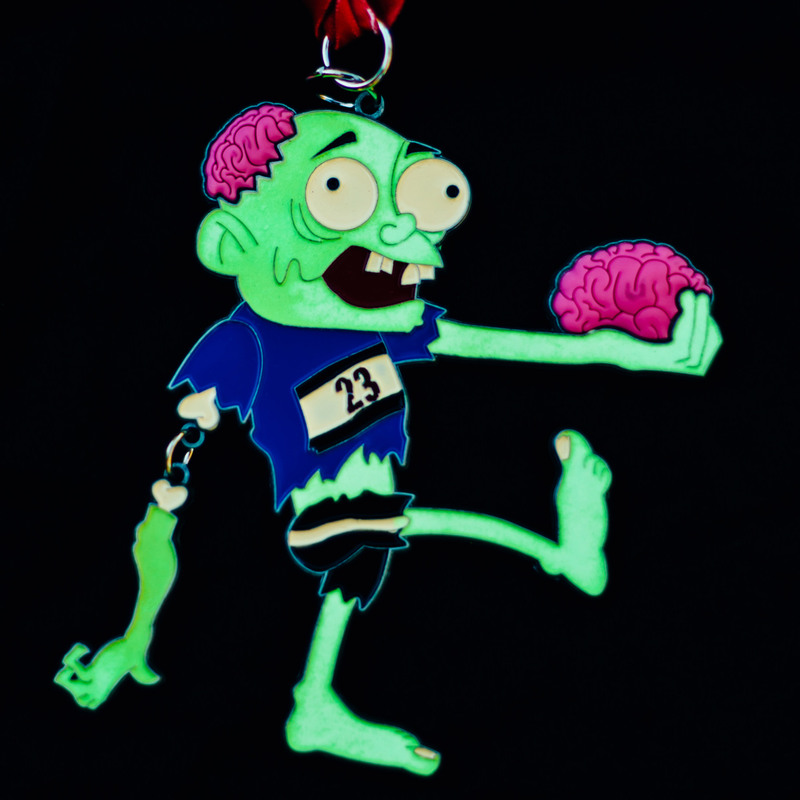 About this Virtual Run: The ReRun of the Dead virtual 5k/10k/Half Marathon is the sequel to our most popular virtual race ever, last year’s Run of the Dead. By participating in this virtual race, you will be helping raise money and spreading awareness for a charity dedicated to helping patients needing bone marrow, stem cell, or cord blood transplants get the support they need. No transplant patient should ever feel alone. 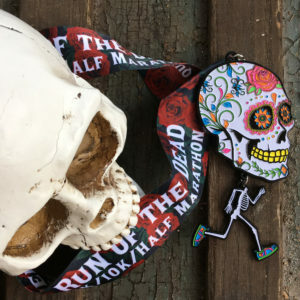 Run or walk your chosen distance whenever and wherever you want to earn this colorful, glittery, 5″ Day of the Dead-themed medal, featuring a female runner’s skeleton body and earrings dangling below her skull. About the Charity: Founded in 1992, The Bone Marrow Foundation is dedicated to improving the quality of life for bone marrow, stem cell and cord blood transplant patients and their families by providing vital financial assistance, comprehensive resources, educational information, physician referrals, and emotional support programs. A portion of the proceeds from this virtual race (at least $5 from each registration) will be donated to The Bone Marrow Foundation. For more information about this charity or to make a direct contribution, please visit bonemarrow.org. QUEST FOR THE LOST SCROLL SWEEPSTAKES: The bottom of ten (10) of the scrolls will include additional text indicating it is a winning LOST SCROLL. If the text at the bottom of the scroll inside your medal reads “CONGRATULATIONS! YOU HAVE FOUND A LOST SCROLL” and a serial number is present after the word “WINNER,” you will win a Virtual Strides Prize Package that includes a Virtual Strides medal hanger, a Virtual Strides visor, and a $50 Gift Card! Winning medals will be randomly distributed throughout the race period, following our standard shipping schedule. For complete contest details, please read the Official Rules. Found a winning LOST SCROLL inside your medal? Fill out the Lost Scroll Prize Claim Form by 11:59 p.m. EDT on September 30, 2017 in order to claim your prize! About the Charity: Our ocean faces many threats like the onslaught of ocean trash, overfishing and ocean acidification. Ocean Conservancy works to protect the ocean from today’s greatest global challenges by creating science-based solutions for a healthy ocean and the wildlife communities that depends on it. A portion of the proceeds from this virtual race (at least $5 from each registration) will be donated to Ocean Conservancy. For more information about this organization or to make a direct contribution, please visit OceanConservancy.org. About this Virtual Run: This one is for the ladies… New Year, New You! 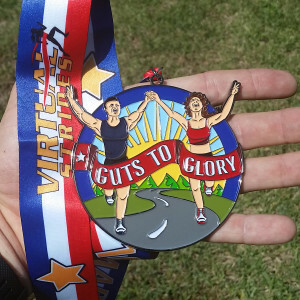 Join the She Believed She Could So She Did virtual 5k/10k/Half Marathon and run or walk your chosen distance anytime and anywhere you want to earn this inspirational framed mirror medal. Yes, the 4″ medal is a real mirror with a fold-out stand on the back, so you can display it on your desk as a daily reminder that you can achieve anything you put your mind to. Mirrors will ship with a protective film on them to prevent scratching – Be sure to peel this off. About the Charity: Left unchecked, tobacco will kill one billion people in the 21st century. Action on Smoking and Health (ASH) has a long history of taking action against tobacco use and its devastating health and economic impact on people and communities around the globe. For more than 40 years, ASH’s goal of a tobacco-free world has remained constant. The tobacco epidemic is global and so must be the solutions. From advocating for bans on cigarette advertising and smoking in public spaces to challenging the influence of the multinational tobacco industry—ASH takes action on a global scale. About this Virtual Run: June 1st is National Running Day. Celebrate all month long by participating in the Feet on the Street virtual 5k/10k/Half Marathon and help raise money for a charity that combats homelessness through the power of running. 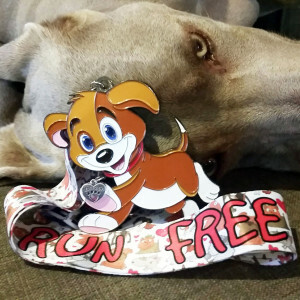 All registrants will receive a custom digital race bib and an awesome 4″ running shoes medal. Not only do the letters and laces GLOW IN THE DARK, but the bottom of the shoe is made out of PVC, so it feels like a real running shoe sole! This is a virtual run so you can run or walk your chosen distance whenever and wherever you want. Medals will be shipped after you upload your results or at the end of the virtual race period, whichever comes first. About the Charity: Back on My Feet, a national organization operating in 11 major cities coast to coast, combats homelessness through the power of running, community support, and essential employment and housing resources. The organization’s unique running-based model demonstrates that if you first restore confidence, strength and self-esteem, individuals are better equipped to tackle the road ahead and move toward jobs, homes and new lives. About this Virtual Run: Craniosynostosis is a condition in which the sutures between plates of a newborn’s skull close prematurely, causing problems with normal brain and skull growth. Premature closure of the sutures may also cause the pressure inside of the head to increase and the skull or facial bones to change from a normal, symmetrical appearance. Help raise awareness about craniosynostosis by participating in the Cranio Care Bears virtual 5k/10k/Half Marathon whenever and wherever you want. All registrants will receive a personalized race bib and a this adorable four-inch teddy bear medal. Medals will be shipped to participants after they upload their results or at the end of the virtual race period, whichever comes first. About the Charity: The mission of Cranio Care Bears is to spread awareness, support & compassion through loving care packages to families of children facing surgery for craniosynostosis. 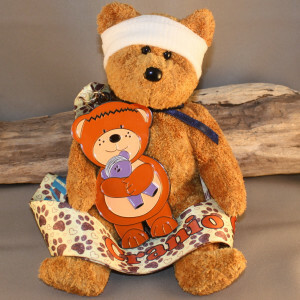 Each care package includes items for the child and family to relieve the stress accompanying this very serious surgery. Cranio Care Bears also offers one on one support before, during and after surgery, and strives to bring awareness of craniosynostosis to families & the medical community for early detection. A portion of the proceeds from this virtual run (at least $5 from each registration) will be donated to Cranio Care Bears. For more information about this organization or to make a direct contribution, please visit CranioCareBears.org.